For this special episode of the Rock it Out! Blog, Sami invites Consequence of Sound staffers Dan Caffrey, Nick Freed, Randall Colburn, and Justin Gerber for a Thanksgiving meal at Chicago’s Town Hall Pub. 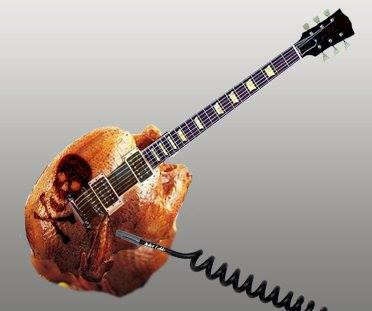 The pilgrims discuss the bands and songs that should soundtrack everyone’s Turkey Day, including what music’s best for wishbone cracking, making toasts, a little pie eating, and that pre-coma haze of joy. So, while they stuff themselves with turkey and all the trimmings, let us know what sounds you’ll be playing in your home and which albums you’re most thankful for this year. Happy Thanksgiving, everyone!